@ Anonymous: Are you now agreeing with me about the authenticity of the apparitions at Garabandal ? >concerning what is to come? Actually, blogs like this one and your reference to people predicting the end of the world for 100+ years would explain it. Heck, they've been predicting it for more than the last thousand years. Someday one of these people will get it right, completely by accident. I feel sorry for you that you believe that humanity must suffer some sort of unimaginable suffering because people can see naked people on a computer. I feel sorry that you think so little of yourself that you feel you deserve/need pain and suffering. 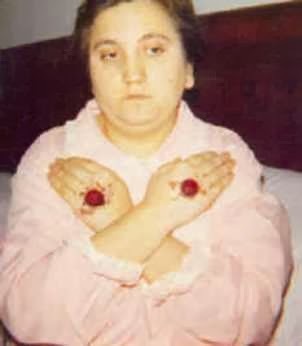 I know many years ago my family got suckered in by the delusional woman in Bayside, New York and her own claims of Marian visions and end of the world prophecies, and just like the rest, a claim of a miracle that was going to happen at some later date that never did. Don't focus on all these claims of the end of the world. They'll drive you insane and keep you from enjoying the time you do have here. Don't fret about "demons", and don't degrade yourself by believing you have to suffer. It's one of the highest callings of humanity to alleviate the suffering of others, not to embrace, wish for, promote or cause it. The progress of humanity has been one of improving food production and distribution, finding cures for and wiping out contagious disease, improving sanitation, improving the safety of food, buildings and other items, spreading literacy and education to the far corners of the globe, etc. Suffering of humanity (or any other sentient being) is not good, noble, just or necessary and anyone/thing that teaches otherwise is perverse. Do good, love others and don't worry about all this mysticism, prophecies, doom and gloom. You'll be a lot happier for it. That's because one would be a bigot. You have no human right to curtail the civil liberties of others and deprive them of the freedoms you enjoy. You also have no moral right to impose your personal religious views on others, and opposing marriage equality has no rational defense. I once lived in a heavily Jewish area, but no one attempted to outlaw my consumption of bacon. You jeopardize your own religious freedom if you decide that the majority can dictate their personal beliefs to the minority. Civilized nations recognize the right to religious freedom, which also means the right to freedom from other people's religions. Don't tell other people how to live; instead live a good life and let your example be a living instruction to others regarding the merits of your faith. and I for one can't wait for you to have to explain to God how he was in error in his concept of the Institution‎ of Marriage. Today finally with the help of friends Denise Vattelana Parlacoski and Barry Hanratty, (and hours of personal research reading ), I can present some facts as to why the Chancery of Cosio would NEVER approve the apparitions at Garabandal, regardless of how many witnesses came forward and what they themselves witnessed ! 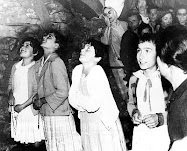 Consider the comments of the long-serving parish priest at Garabandal, Fr Valentin Marichalar, who witnessed literally hundreds of apparitions. It is inconceivable that the one person who could speak most authoritatively to the matter would not be questioned by either the local bishop at the time (Doroteo Fernandez), or the commission he established to investigate the matter! HE WAS NEVER INTEROGATED. Yet, this is exactly what happened. 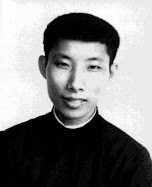 In a 1976 interview with Needles magazine, Fr. Marichalar remarked that the commission wanted only to get the job over with quickly, and that virtually nothing was done in accordance with proper custom. was assigned ...the younger priest was asked by the villagers what was it that the bishop needed to approve these apparitions and the younger newly assigned priest from the bishops office said "nothing it's never going to be approved"
When Fr. 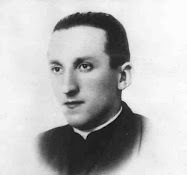 Valentin Marichalar was replaced as parish priest at Cosio, the Chancery sent a young priest with instructions to be over-prudent, an attitude that required a certain predisposition against the supernatural character of these events. Maybe the REAL REASON the Bishop's office was against the apparitions is revealed in a 1992 interview with Bishop Dal Val Gallo . He does not like the statement by Our Blessed Mother "Many cardinals, many bishops and many priests are on the road to perdition and are taking many souls with them. " HE ADMITS THIS IN THIS INTERVIEW ! Thanks Glenn for the interesting info. As you well know, many of the mystics in the Church have also been treated unfairly by their local Bishops. 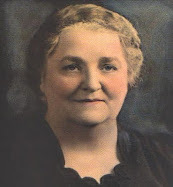 Marie Rose Ferron of Woonsocket, Rhode Island (1902-1936) is a very "close to home" example of this. Unfortunately, a good number of Bishops in the 20th century were not very favorable towards private revelations and mystics in general, seemingly having a negative predisposition against all visionaries/private revelations. "True Life in God" and Garabandal are unapproved private revelations. They have never been confirmed as authentic by the Church. It would be wise to stay away from unapproved private revelations, especially seeing that Medjugorje is about to be condemned. Stick with APPROVED private revelation and the Public Revelation contained in Sacred Scripture and Tradition. Quit trying to discredit the Bishop's decision on Garabandal. Quit trying to ascribe some ulterior motive to their decision. Faithful Catholics MUST remain OBEDIENT to the Local Bishop in matters of private revelation, even when they don't agree with the decision. miltonic rhetoric said... Hey Glenn,Quit trying to discredit the Bishop's decision on Garabandal. Quit trying to ascribe some ulterior motive to their decision.Faithful Catholics MUST remain OBEDIENT to the Local Bishop in matters of private revelation, even when they don't agree with the decision. MILTONIC, This is called providing the facts and TRUTH of what was hidden from Catholics. YES we must obey the Bishops ruling for now, BUT it certainly doesn't look good when 3 POPES, and SAINTS like John Paul II, Padre Pio, Jose Marie Escriva, and "Blessed" Mother Teresa, think his was a poor decision, AND TOLD us it was ok to promote the messages of Garabandal. Maybe, just maybe they are better judges of this apparition. I just providing the facts. 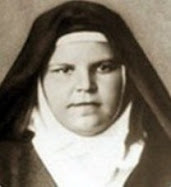 Here is the latest information ,In April 2007, Joey Lomangino, received from Conchita a letter, dated 12 February 2007, she had herself received from Archbishop Carlos Sierra of Oviedo, then the acting Apostolic Administrator for the Diocese of Santander, which read: “I want you to know that I am open to receiving and considering all information about Garabandal, and would like to continue—as long as our Holy Father wishes me to serve as Apostolic Administrator—the work that my brothers at the Bishopric have already done in reference to this subject. What I have just done is authorize the priests to go to Garabandal and hold Holy Mass at the Parish, at any desired time, and to administer the Sacrament of Reconciliation to anyone that wishes to receive it. I am sure the next Bishop will promote further studies to examine in depth the Garabandal events and will send the findings to the Congregation for the Doctrine of the Faith in Rome. I respect apparitions and have known of authentic conversions. How can we not always feel the need to open our heart to our Mother Mary to tell her that we need her protection, her help, her courage, her hope, her faith and her love when faced with these events! I encourage you to keep maintaining such devotion toward our Mother”. Padre Pio, Mother Teresa, PJPII, and Jose Marie Escriva have absolutely no authority to allow you or anyone else to promote Garabandal. The only one with that authority is the Local Bishop. It doesn't matter what a Saint thinks or says regarding private revelation. The only voice that matters is the local bishop. 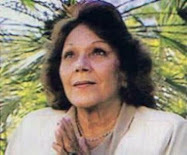 In 1982, Bishop del Val was diagnosed with prostate cancer and underwent an operation in Santander performed by Dr. Andres Garcia de Tunon, a believer in Garabandal While he was recuperating in the hospital, he received a visit from Mari Loli, one of the visionaries of Garabandal, who had been driven there in the car of a French priest, Father de Baillencourt and his secretary, Christina Bocabeille. The details of what happened are very secretive (because he was at the time still Bishop, and Garabandal was still not approved, and he didn't want to reveal in writing what happened so he could not be reprimanded ). When Loli went to see him, he said that her visit with him was a great comfort. It brought back many beautiful memories about the times that he himself witnessed her ecstasies as well as the other three girls but it was only after she gave him a KISSED Crucifix by Our Blessed Mother that she had with her that he made a complete recovery. After having completed the operation on the Bishop in 1982, Dr. Tunon went to see him in his hospital room during the recovery period. "I was sitting on the edge of the bed when he said to me, 'I, Juan Antonio del Val Gallo, believe in Garabandal. But as bishop I can't say that.'" Bishop Del Val's statement that you have referenced actually makes my point for me: the good Bishop differentiates between his own personal opinion and the official stance of Diocese of Santander. The official position of the Diocese of Santander is that nothing supernatural happened at Garabandal. Until such time that they reverse their decision, it would be very wise to forget about Garabandal and quit acting like it is true. The Local Bishops know better than any of us and have an authority and charism that we do not possess. Miltonic: you incorrectly state the Churches position on Garabandal. it is Non-constat de supernaturalitate - It is not certain that the events are of supernatural origin. There is a HUGE difference between the two. They are NOT sure what happened. I have lived with Joey Lomangino and Conchita Keena for over 20 years and witnessed countless miracles and conversions,and hearing Joey talk about his conversations with Padre Pio ,and Conchita talk about her conversations with Mary & Jesus, it is impossible to put aside Garabandal and more importantly deny our Blessed Mother's efforts to help us. 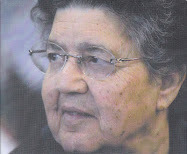 Miltonic said : The Local Bishops know better than any of us and have an authority and charism that we do not possess. Using YOUR logic, then it must also be true that holier Church persons and authority have even more of the "charisms " to discern this. So I guess (soon to be Saints) Pope Paul VI & Pope John Paul II, Saint Padre Pio, Saint Jose Marie Escriva,Blessed Mother Teresa, Blessed Maria Rafols, Blessed Madre Maravillas, Venerable Padre Nieto, Venerable Fr. Ciszek , KNEW BETTER than our little local Bishop. Thank you for making my case. The "holier Church persons and authority" DO NOT have more charism nor authority than the Diocese of Santander when it comes to the discernment of the supernatural veracity of the alleged apparitions at Garabandal. Pope Paul VI, Pope John Paul II, Saint Padre Pio, Saint Jose Marie Escriva,Blessed Mother Teresa, Blessed Maria Rafols, Blessed Madre Maravillas, Venerable Padre Nieto and Venerable Fr. Ciszek absolutely DO NOT know better than the Local Bishop, who you derisively refer to as "our little local Bishop." Miltonic: seriously ? do you hear yourself ? THE POPE DOESN'T HAVE BETTER CHARISMS OR AUTHORITY THAN A LOCAL BISHOP ??? While the Church "grants authority " to the local bishop, he certainly DOES NOT have more authority than the POpe,becasue IF that were true, the apparitions would have been condemned by now,and they are not,BECAUSE ALL THE POPES have believed there is enough credibility here to allow the Warning & Miracle to come to fruition before a final judgment. BTW, your Bishop believes in Garabandal now,so that kind of pokes a hole in your theory. No, Bishop Dal Val DID NOT reverse the official position of the Diocese of Santander at all. The official position of the Diocese of Santander is that the supernatural was not established at Garabandal. Garabandal is an unapproved apparition. Until such time as Garabandal is approved, it would be wise to ignore it and would be wise to stop promoting it as if it is true. To act and speak like Garabandal is true is to pretend to know better than the Local Bishops and the Vatican, which has affirmed the decision of the Diocese of Santander. Miltonic,can you read ? I didnt say he reversed the "official" position, I said (and its documented in books )HE REVERSED HIS PERSONAL OPINION. Take off your blinders friend, " THe Vatican " has supported the visionaries ( see qoutes by Popes Paul VI and Pope Jaohn Paul II )I HIGHLY DOUBT the local Bishop (who did reverse his personal opinion) is wiser than the HOLY,HUMBLE & WISE SAINT POPE JP II ! THey dont just make anyone a saint you know. You disgrace the memory of the great holy man by saying his opinion is less important than the mistaken and self admiited mistaken bishop. How dare you speculate as to the "REAL REASON" behind the decision of the Bishops of Santander regarding Garabandal. Let me ask you something Glenn: If Garabandal is eventually condemned by the Vatican, what is your response going to be? And, no, the Vatican has NOT supported Garabandal. The Vatican has explicitly SUPPORTED the decision of the Diocese of Santander which is that there is NO EVIDENCE of the supernatural at Garabandal. Miltonic: AGAIN, READ my post, the story I posted THE BISHOP ADMITS he was upset with Mary's prediction ! I DIDNT SPECULATE, its right there in his own words, in black & white ! What will I do if Garabandal is not approved ,Im not worried in the least, I defended the Blessed Mother all these years with Catholic Saints and Popes by my side,Im not worried at all ! ON THE OTHER HAND ... what will YOU do to defend your attacks if you're wrong ?? You're in a heck of a lot more trouble than me brother,lol. Good luck talking your way of this. ACTS 5 :39 But if it be of God, you cannot overthrow it, lest perhaps you be found even to fight against God. I got nothing to worry about. My position is the position of the Bishops of Santander, that there is no evidence of the supernatural at Garabandal. Even if Garabandal were approved, it wouldn't matter a lick to my Faith. As I am sure you know, even APPROVED Private Revelation adds NOTHING to the Deposit of the Faith. If Garabandal is approved, then so be it. But if it is eventually condemned, then it is actually YOU who have the most to lose since you are already acting like it is true when in fact the Bishops have never officially said that. And I am attacking no one. It is you who act like you are correct and everyone else who approaches Garabandal with caution is wrong. Miltonic: maybe you should stick to English poetry, all apparitions require a certain amount of faith. Faith requires a certain amount of trust in things we sometimes don't understand fully. So like Moses, Jesus, Loudres, Fatima, all came into question by those who want "concrete proof " immediately, it took time & faith for them to emerge as the truth. After the Warning & Miracle, Garabandal will emerge ,as prophecied truth , and those of us who believed because of our "faith" will rejoice with Mary ,because we trusted in her . Does the Diocese of Santander allow the promotion of the messages of Garabandal? I was under the impression that they did not allow promotion. IN FACT, POPE PAUL VI AND JOHN PAUL II INCOURAGED US TO PROMOTE IT ! Father Escalada explained his work in spreading the message of Garabandal in Mexico and the Pope Paul VI encouraged him to continue saying: "These messages must be made known." Father Escalada asked the Pope for his permission to continue promoting Garabandal and the Pope said “YES”. There is a book on Garabandal, written by Albrecht Weber in 1993, entitled Garabandal Der Zeigefmger Gottes (Garabandal: The Finger of God), of which a first edition copy was presented to Pope John Paul II. He later asked his secretary, Fr. (now Archbishop) Stanislaus Dziwisz, to write to the author. In the subsequent printing (2000) of the book, on page 19, a portion of the Pope's message is reprinted, as follows:"May God reward you for everything. Especially for the deep love with which you are making the events connected with Garabandal more widely known. May the Message of the Mother of God find an entrance into hearts before it is too late. As an expression of joy and gratitude, the Holy Father gives you his apostolic blessing. "Weber writes, "From the attached greeting in the Pope's own handwriting, with his signature, it is clear how deep an interest he has in the events of Garabandal, and how anxious he is that they should be made known in a credible way." Why would anyone recommend us to read TRUE LIFE IN GOD (TLIG.ORG). The church has condemned Vassula's writings a long time ago. And the church has said a long time ago Not to follow Garabandal. Its amazing how I point out time after time that Popes & Saints HAVE ENCOURAGED US TO PROMOTE Garabandal, and yet some just ignore the FACTS and LIE and say the opposite. (WITH NO FACTS to back it up ). What Pope or Saint has encouraged the promotion of Garabandal. Citations please. I find such an assertion dubious given that the official position of the Diocese of Santander is that nothing supernatural occurred at Garabandal. I don't think there will be any "Warning." God already gave us a Warning. It's called the Ten Commandments. Pope Paul VI & Garabandal: Early in 1966 Conchita was called to the Vatican. Gardinal Ottaviani, the pro-Prefect of the Sacred Congregation for the Doctrine of the Faith (Holy Office) had instructed Fr. Luna: "With or without the permission of the bishop, bring the young girls to me." During January 12-16 she was interviewed for 2 1/2 hours by the Cardinal and saw other members of the Congregation, afterwards she saw the Pope and gave him the date of the Great Miracle to come. 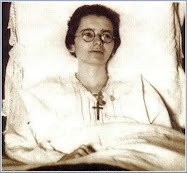 She then paid a visit to Padre Pio, the famous stigmatist. Upon her return, at an audience in St. Peter's, the Holy Father came to her and announced joyfully in a clear voice, "Conchita, I, the Pope, bless you and with me the whole Church blesses you." The November 7, 1968 bulletin of Peru's Legion Blanca under the imprimatur of Mgr. Alfonso Zapana Belliza, Bishop of Tacna, Peru, quotes the late Pope Paul VI as having said at a private audience these inspiring words: "Garabandal the most beautiful story of humanity since the birth of Jesus Christ! It is also the second sojourn of the most Holy Virgin on this earth, and we have no adequate words to express our gratitude." There is a book on Garabandal, written by Albrecht Weber in 1993, entitled Garabandal Der Zeigefmger Gottes (Garabandal: The Finger of God), of which a first edition copy was presented to Pope John Paul II. He later asked his secretary, Fr. (now Archbishop) Stanislaus Dziwisz, to write to the author. In the subsequent printing (2000) of the book, on page 19, a portion of the Pope's message is reprinted, as follows:"May God reward you for everything. Especially for the deep love with which you are making the events connected with Garabandal more widely known. May the Message of the Mother of God find an entrance into hearts before it is too late. As an expression of joy and gratitude, the Holy Fa­ther gives you his apostolic blessing. "Weber writes, "From the attached greeting in the Pope's own handwriting, with his signature, it is clear how deep an interest he has in the events of Garabandal, and how anxious he is that they should be made known in a credible way." From the book “The Fianl Hour “ (Michael Brown) page 141On the topic of Padre Pio ‘s belief in Garabandal:“Asked on another occasion about its authenticity, he answered curtly, ”How many times must she appear there to be believed ? 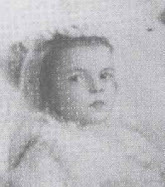 PADRE PIO SEES THE MIRACLE BEFORE HIS DEATH & CONCHITA IS GIVEN GIFTS BY HIM.When Conchita found out Padre Pio died in Sept. 1968, she met his close friend, Father Bernardino Cennamo, at Lourdes, and asked him, "How is it that Our Lady told me Padre Pio would see the Miracle and he has died?" Father Cenammo responded, "Padre Pio saw the Miracle before he died. He told me himself. "The priest gave Conchita one of the three veils that covered Padre Pio's face during his wake, saying that the stigmatist had requested this before he died. He told her truthfully that he personally did not believe in the authenticity of Garabandal until Padre Pio requested this of him. 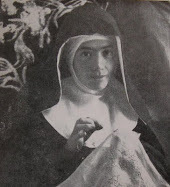 Conchita also was given Padre Pio's rosary, and one of the gloves he wore, stained by his stigmata. She has these treasures preserved at her home in New York.Padre Pio never ceased recommending pilgrims who asked him about Garabandal, to make a visit there. It speaks volumes that with all the holy people Padre Pio knew in the world, he would leave 3 such personal special items to Conchita ! How much more of an endorsement can there be ? Isn't it kind of pointless not to share any specifics of these messages? It's not like you have to compromise her identity to do so... "I know a mystic who says the world's gonna end soon" - that's not really helpful and isn't worth wasting space and time for, jeez. Throw us a bone here Glenn! The "specifics" are quite simple. Our Blessed Mother said we will experience 3 events. The first is called "The Warning". Simply put God will allow all of humanity to see their sins. God will show each of us to see our sins ,as HE sees them,and the gravity of these sins,and the sins of ommission (the good we should have had done ). Second " The Miracle " - within on year of the "Warning" ,there will be a sign left in the sky for all the world to see,to confirm the Warning,that it only could have come from God. Third, if the world doesn't have a conversion of heart ,and turn back to God, he will send a "Chastisement " ( a punishment ). Mary did say that the Chastisement is "conditional" depending on the world's response to the Warning & Miracle. Glen H I was responding to the webmaster, as I tired of and skipped over the seemingly endless garabandal debate here. I believe in garabandal by the way. I was asking Glen Dellaire about his alleged mystic's specific messages. Anonymous: sorry I thought your comment was addressed to me. A site with 2 Glenn's , and several "anonymous's " can get alittle confusing,lol. Glad to hear you're a supporter of Garabandal. My internet interview has now been turned into a Youtube video by Margret Schaut ! ( It has been edited down to a 32 minute video ). 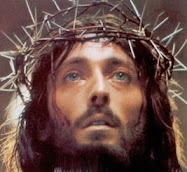 I wish to reveal to you a mystery which my Sacred Heart is making known. What you see reflected on the wall of your Adoration Chapel is the Glory which emanates from the image of the Sacred Heart which hangs on the wall in the chapel. What you see in the reflection is the Grace which pours out of My Heart into the homes and lives of my people who enthrone this image and invite me to be the King of their hearts. The light which shines and reflects My image on the wall is a great sign, my son, of the light which the Father is ready to send upon all mankind from the Sacred Heart of His only Son. This light will penetrate every living soul and will reveal the state of their lives before God. They will see what He sees, and know what He knows. This light is to be Mercy for all who can accept it and repent for all the sins which distance them from the Father who loves them and desires that they come to Him. Prepare my son, for this event is much closer than anyone believes, it will come upon all men in a moment. Do not be caught unaware in order that you may prepare not only your heart but your parish. A very interesting article : " Devil is working hard on securing end times "
Very interesting quote: " In short, this pope is a believer in the end times who’s convinced they aren’t merely coming but are, in a sense, already being played out before our eyes. This, likewise, is someone who believes the devil is real and perceives a demonic hand at work in current events. " and this quote : "Francis evidently thinks at least some end-times events are already taking place. But that’s not new. “With God’s coming into history,” he said, “we are already in the last times” — and could be for a long while to come. " Pope Benedict XVI (March 24, 2005 at the time he was still Cardinal Ratzinger ) described the Church in the world today “ as a boat about to sink, a boat taking on water on every side”. You have some nerve calling the Bishops of Garabandal "cowards" like you just recently did over at the "motheofgod.com" forum. You are showing your true colors Glenn. Those Bishops who purposely hid the truth of hundreds of witnesses,who wanted to testify of miracles, healings ,and conversions from our Lady's appearances at Garabandal, deserve to be called out. To Deny our Blessed Mother is a sin ! YES , my true colors are a defender of the truth and our Mother Mary ! MDM OFFICIALLY CONDEMNED BY DUBLIN BISHOP ! 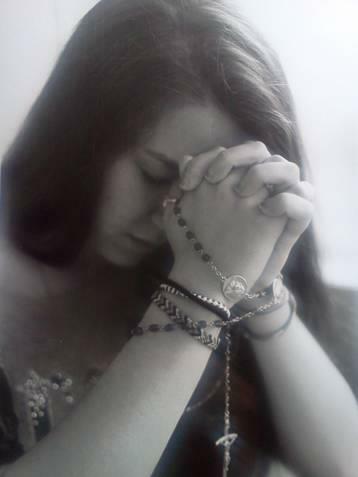 Requests for clarification have been coming to the Archdiocese of Dublin concerning the authenticity of alleged visions and messages received by a person who calls herself “Maria Divine Mercy” and who may live in the Archdiocese of Dublin. Archbishop Diarmuid Martin wishes to state that these messages and alleged visions have no ecclesiastical approval and many of the texts are in contradiction with Catholic theology. These messages should not be promoted or made use of within Catholic Church associations. Thanks Glenn H. for passing along the update concerning 'Maria Divine Mercy'. I added the Official Statement from the Archdiocese of Dublin to the article on Maria Divine Mercy here. Glenn, your public disobedience and disrespect towards the Bishops of Garabandal risks discrediting the very thing you seek so desperately to promote. Glenn, you are not a Bishop nor are you a legitimate Church authority in a position to talk with authority on Garabandal. Furthermore, quit talking like it is an established fact that the BVM appeared at Garabandal. There is not one shred of evidence to suggest that it was actually the BVM who appeared there. If the BVM had actually appeared there she would have provided the local bishop with a supernatural sign and then the local bishop would have confirmed the supernatural veracity of the apparition. But that never happened and until it happens the most you can say Glenn is that the BVM MAY have appeared at Garabandal. But so could Satan for that matter who we know often disguises himself as an "angel of light." Satan is actually okay with some positive fruits being generated by a false apparition, as long as the net result is public disobedience to the local bishops. And guess what, Glenn, public disobedience and disrespect towards the bishops of Garabandal is exactly the kind of fruit you are peddling. Get a grip on yourself man! Also, are you paid to promote Garabandal? Its really sad that nameless, faceless people feel they must try to discredit and insult our Blessed Mother's appearance and messages,by any means possible. Your insults and lies only strengthen my resolve to defend our Blessed Mother and her messages. Say what you want , your words are meaningless to me . Just incase someone is gullible to believe the nonsense, no I do not receive a penny from anyone nor do I ask,I have volunteered over 20 years of my life to Mary, and she has blessed for me it. “Well, none of the Commissioners, who rejected the supernatural events at Garabandal, ever asked him to testify, nor did they deign to even interview him, who was the “official informant” to the authorities. This detail suffices to illustrate the “true and impartiality “ with which the various episcopal commissions endeavored to inform themselves. Seco said: "THEY WERE NOT INTERESTED IN BELIEVEING WITNESSESS, BUT ONLY THE UNBELIEVING. THEY WANTED AT ALL COST, TO DISCREDIT THE MANISFISTATIONS, AND IN ORDER TO ACHIEVE THIS, THAT HAD TO ELIMINATE ANY WITNESS,INCLINED TO BE FAVORABLE, NO MATTER WHAT HIS COMPENTENCY”. From “The Village Speaks” pgs 69 - 70. Sorry, but Vassula Ryden and True Life in God have been condemned by the Church. She is a fraud. In 1995, the Catholic Church's Congregation for the Doctrine of the Faith (CDF) published a Notification (a message from the Holy See) on the writings of Rydén, saying her communications should not be considered supernatural, and calling all Catholic bishops to prevent Rydén's ideas from being spread in their dioceses. 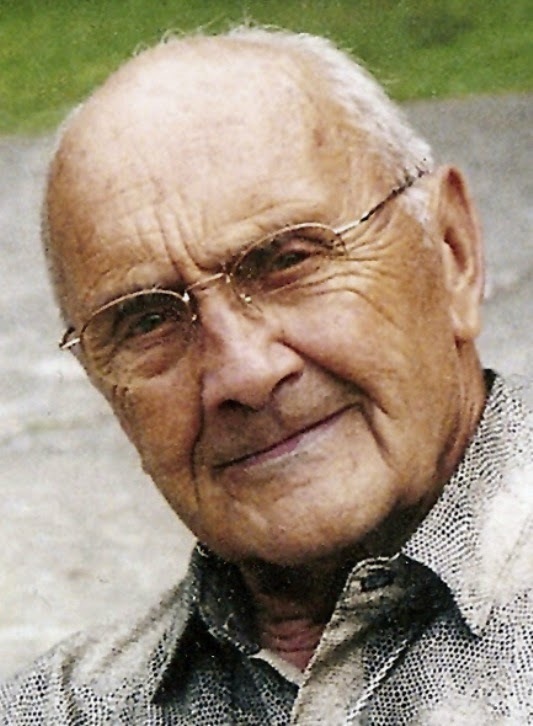 In 2007, Cardinal William Levada confirmed that the 1995 Notification was still in effect; he recommended that Catholics should not join prayer groups organized by Rydén. In 2011, the Greek Orthodox Church officially disapproved of Rydén's teachings, instructing their faithful to disassociate from Rydén. 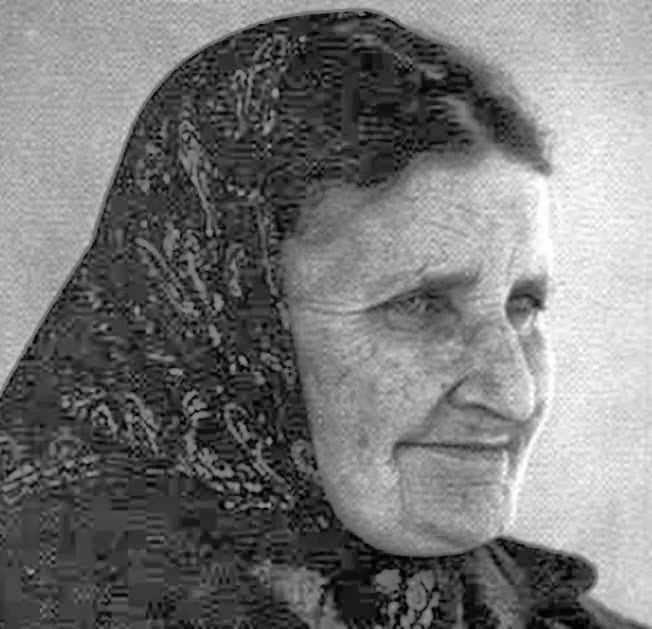 In 2012, the Church of Cyprus said that Rydén's teachings were heretical. A calm, attentive examination of the entire question, undertaken by this Congregation in order to "test the spirits to see whether they are of God" (cf. 1 Jn 4:1), has brought out-in addition to positive aspects - a number of basic elements that must be considered negative in the light of Catholic doctrine. Among other things, ambiguous language is used in speaking of the Persons of the Holy Trinity, to the point of confusing the specific names and functions of the Divine Persons. These alleged revelations predict an imminent period when the Antichrist will prevail in the Church. In millenarian style, it is prophesied that God is going to make a final glorious intervention which will initiate on earth, even before Christ's definitive coming, an era of peace and universal prosperity. Furthermore, the proximate arrival is foretold of a Church which would be a kind of pan-Christian community, contrary to Catholic doctrine. The fact that the aforementioned errors no longer appear in Ryden's later writings is a sign that the alleged "heavenly messages" are merely the result of private meditations. 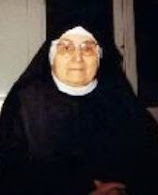 Given the negative effect of Vassula Ryden's activities, despite some positive aspects, this Congregation requests the intervention of the Bishops so that their faithful may be suitably informed and that no opportunity may be provided in their Dioceses for the dissemination of her ideas. 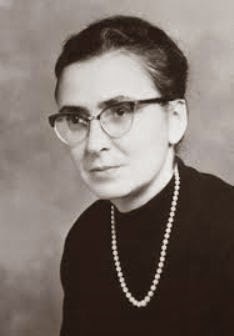 Lastly, the Congregation invites all the faithful not to regard Mrs. Vassula Ryden's writings and speeches as supernatural and to preserve the purity of the faith that the Lord has entrusted to the Church. Vatican City, 6 October 1995. What's truly sad is that the chief promoter of Garabandal on the Internet (that would be you) has called the Bishops of Garabandal "cowards" in protest over the fact that you refuse to obey their authoritative decision. It is the local bishop who has the authority to determine whether or not the Blessed Virgin appeared at Garabandal. You don't have that authority or charism, Glenn H.
There are only three possibilities for what occurred at Garabandal: the natural, the preternatural or the supernatural. The bishops have said that the supernatural did not occur. Anonymous : speaking of "cowards", what is your name who chastises me ? You are not being chastised. You are being corrected for showing disrespect and disobedience to the local Bishop. And think of this for a second: Let's say that Garabandal is eventually approved. In the meantime, what good does it do to have the chief promoter of Garanbandal on the net, publicly call the local Bishops of Santander "cowards?" Anonymous:If you had bothered to even look, ( which you didnt ) because you just want to chastise me, I took your advice, and reconsidered my poor choice of words and erased the comment. Happy ? I'm not the enemy here,I am doing as Mary has prepared me for my whole life being involved in Garabanal since I'm 13 ! Please consider my advice now, what if (as you say ) it is eventually approved,what will you say to the Blessed Mother for insulting her and constantly harrassing me ? Who is going to have a tougher time explaining themselves , me or you ? I know my mission,I didn't pick it,I was chosen. Have a blessed Easter. I am not insulting the Blessed Mother (we don't know who appeared at Garabandal) nor am I harassing you. I am stating the facts. The " MESSAGE OF GARABANDAL" ( made by Joey Lomangino ) video is available online in 26 languages ! Please send to family & friends who have never heard of it, or want to understand it better. Included is Joey's Lomangino's testimony on how he met Padre Pio and had a healing through him ! It is now obvious to all independent, objective observers that you are afraid of open, honest debate concerning the veracity of the alleged apparitions at Garabandal. Your recent actions over at motheofgod.com - where you deleted the commentary of a person who had raised some serious questions over the validity of Garabandal - prove that you are not interested in an open, fair, honest debate on Garabandal. Well forgive me for a site that allows so many courageous souls to be called "anonymous". Why take any of all your comments seriously. FYI, the thread was shut down by PADRAIG THE FORUM OWNER ! I am just an admin by his request,he makes all final decisions. BTW to ALL here who try in vain to discredit our Blessed Mother's apparitions & messages at Garabandal...SAINTS POPE JOHN PAUL II AND SAINT PADRE PIO may have a different opinion than you. For those who think they are so wise,and deliberately offend the Mother of God ( and her messages ) with thier slander, remember what Saint Padre Pio said "I would undergo death an infinite number of times rather than deliberately offend the Lord." It is not "slander" Glenn to be skeptical of an alleged apparition that has dragged on for as long as this apparition has. 1. It never received the kind of negative treatment from the local bishop that Medjugorje has received. 2. The Garabandal seers remained obedient to the local bishop, unlike the Medjugorje seers. 3. Joey Lomangino is still alive. But if he dies before the "Miracle" then Garabandal is a false apparition, no exceptions. I find it interesting how some are almost "clinging to the hope " that Joey dies before the Miracle so that they can be proven right. How sad. The Blessed Mother does not lie. My advice : ACTS 5 :39 But if it be of God, you cannot overthrow it, lest perhaps you be found even to fight against God. I am just pointing out the fact, Glenn, that if Joey dies before the Warning and Miracle then a major, unequivocal prophecy allegedly made by the Blessed Virgin would have failed. In that event, there would be no doubt in my mind that Garabandal was false and that we have been led on a wild goose chase by Satan all these years. The documentation of over 2000 appearances of our Blessed Mother . 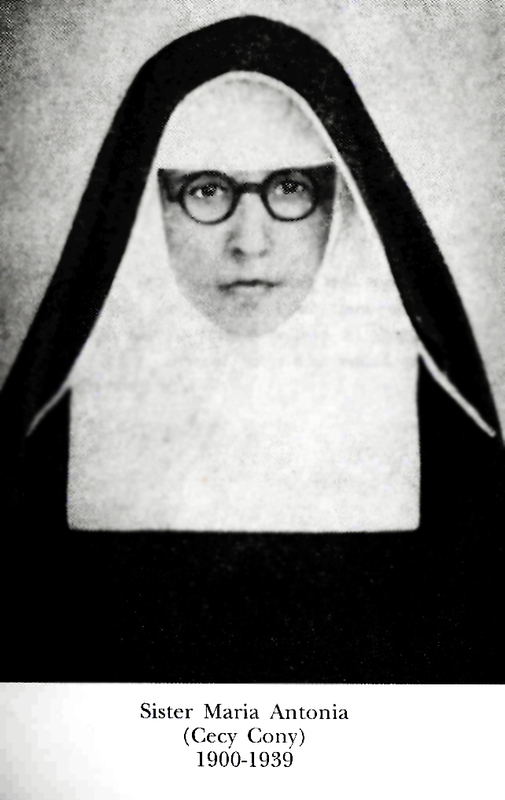 The video footage of the host appearing out of thin air on Conchita’s tongue with dozens of witnesses standing next to her, as Mary predicted days earlier. Thousands of photo’s ( and video proof ) of “ecstatic walks” forwards AND BACKWARDS on rocky cow paths, and FALLING BACKWARDS ON THEIR HEADS totally unharmed ! The girls in ecstasy unharmed and unfeeling by doctors poking them with needles, pinching them, burning them with matches, throwing sand in their eyes and shinning bright light trying to make them blink, and could not ! 12 year old Girls in ecstasy being able to lift one another over their heads, BUT 2 men could not lift one girl up ? The Blessed Mother voice was recorded, and a photo taken. 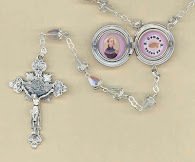 Dozens of rosaries, and religious objects placed on one table, in a pile, and after Mary kissed them, the girls ,WITHOUT LOOKING AT ANYONE , managed to return the item to its rightful owners ? 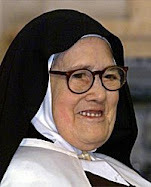 Archbishop Manuel Pio López, of Jalapa (Mexico) , Mother Angelica, to name just some. Mary’s insistence on Repentance, Confession, Mass, Communion, the Rosary, the brown scapular, all indicate that this was of God, for no other explanation is possible. That's all well and good, Glenn, but please don't gloss over the fact that if Joey dies before the Warning and Miracle then that would invalidate a major prophecy of Garabandal and would prove that Garabandal was a demonic diversion all along. And, again, please don't act like it has already been established that the Blessed Virgin was appearing at Garabandal. The local Bishops never indicated that anything supernatural happened at Garabandal. It could just as well have been the Devil appearing as an "angel of light" (the Devil would have no problem with a few good "fruits" from a false apparition as long as he could maintain a spirit of disobedience among the followers of such an alleged apparition). In fact, since there were clearly preternatural phenomena occurring at Garabandal and since the Bishops have never ruled in favor of authenticity, it could very well be that the demonic was present during these alleged apparitions. Time will tell. But the Blessed Virgin is not a liar. If she [allegedly] said that Joey would regain his sight at the Miracle, then this clearly implies that Joey must be alive for the Miracle. There is no other way around that fact. I am just pointing out the obvious. How in the world is any of this demonic ? Even if Joey died, its still not demonic in any way shape of form. God forgive you for your "demonic " thoughts. Glenn, if Joey died before the Warning and Miracle, then one must logically conclude that Garabandal was a false apparition. There is no way a genuine apparition of the Blessed Virgin Mary would make a false prophecy. And in the event that Garabandal produced a false prophecy, and since you have previously conceded that preternatural phenomena were indeed present at Garabandal, I see no other alternative than to conclude the presence of the demons who are both liars (false prophecy) and capable of producing visions, levitations, and the other phenomena that were present. One must take a critical, independent look at any unapproved private revelation. Now, with that being said, I certainly hope that Garabandal IS authentic, but I will not ignore the obvious. This is a pointless discussion. I don't want to waist my time discussing hypotheticals. I deal in reality. Millions of unborn babies murdered allready and millions more to be murdered.ya really lovely wod we have made for ourselves.im surpraised GOD hasent destroyed it already. This is why the Message of Garabandal is so important . This is our last chance for repentance. Everyone should watch the video of this prophecy (even if they don't believe it ) just so they are aware of what will happen,and when. Joey Lomangino has died. He never received new eyes and the Warning and Miracle never occurred. Garabandal is a false apparition and Glenn Hudson and Conchita now have some explaining to do. The truth rests with Conchita and the truth of this false apparition will eventually come out. I think God was sending us a very clear message in that Joey Lomangino died on June 18th the Anniversary of these false apparitions. The message was clear: Garabandal is now closed. Sadly, Glenn and the cult over at motheofgod.com are now attacking anyone who points out the fact that Garabandal is a false apparition based on the failed prophecy concerning Joey Lomangino. The Blessed Virgin Mary (the real BVM - not the fake BVM at Medjugorje and Garabandal) would never make a false prophecy. First of all, while Joey's death is tragic (and sadly good news to his detractors here ) it does not mean it will prevent GOD from performing the Warning, Miracle, & Chastisement. Secondly, ONLY the Vatican can render a final judgment as to when it is over and since they know the date of the Miracle,and it has not passed yet, they will hold judgment until that day passes. Third , I have no one to apologize to until final judgment, who ever you ghost writers are. Actually, Glenn, no one is happy about Joey Lomangino's death. The only one making that false accusation is you: you have made it here and over at motheofgod.com where you falsely accused a critic of Garabandal of "attacking" Garabandal. The cult of Garabandal is becoming something of a scandal, especially after this major, failed prophecy. But I am sure that the cult of Garabandal will come up with all sort of complicated excuses to explain this failed prophecy. It appears that the only thing that will put an end to the Garabandal and Medjugorje madness is a definitive decision from the Vatican. God Bless, and may Joey rest in peace, and may the truth about Garabandal finally come out. I'm sorry and sad to say this but sometimes I think one of the sufferings we may endure will be in the area of breathing. I have seen many prophecies talk about "the agony that chokes". Also, if fire does approach the earth it will certainly consume some of the oxygen. No one will survive unless God shortens the tribulation since we can't last more than 3 minutes without oxygen. But don't be afraid because if we pray hard and trust Him he will help us and give us strength. Pray now to St. Joseph for a happy death because some of us may die during the warning and/or purification. Glenn H., I have nothing against you personally but I think it's uncharitable to keep attacking anyone who chooses to use the label Anonymous. It is their right to do so and it shouldn't be interpreted as cowardly nor is having a name always necessary to the conversation. Yes, it probably would be more helpful if they put a name to avoid confusion. 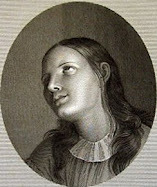 To reply to those interested, yes, she is still alive and is completely bedridden, and is very, very ill, and unable to speak-- and for perhaps the past two years she allegedly drinks and eats very, very little--if at all--and apparently lives primarily off the Eucharist ---I say "allegedly" simply because I cannot personally confirm this as an eyewitness, but I do believe those sincere persons who tell me it is so. She looks very skeletal and is extremely thin, but she has been this way for about two years. 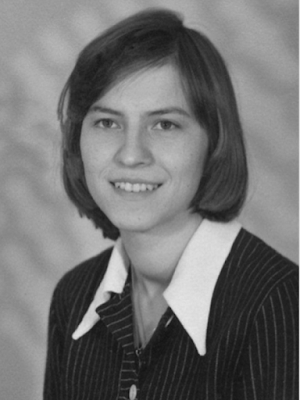 From a human perspective, I (like others) personally assumed that she would have passed many months before now...but as is often the case with mystics, God does what He wills, and His ways with them are often much different than what we normally would expect from a human standpoint. The world is beyond sin, now. Depravity is becoming the norm. I came to believe this after having a discussion about abortion with a professional colleague on Facebook. Doctor to doctor. My friend declared that she is not willfully ignorant. 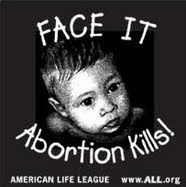 She believes human beings are killed in abortions and that they are "better off dead." American society is better off without a bunch of unwanted Black and Hispanic babies. "No one would want to adopt them anyway!" She defended her position saying she was "pro-people already here" but wouldn't admit that aborted babies are also people already here. I did make some hefty counterarguments to which she had no response. (I am very practiced at apologetics). I've known her for 20 years. She started out as someone shocked and disturbed at her parents getting an annulment (in college) to becoming depraved. Honestly, I don't know if someone like this can even be reached. I want to terminate my friendship with her at this point. The world breaks my heart. I feel like I've broken the Lord's heart by failing him in every way possible way. So ... somethings on the horizon because the Church is starting to lose its effectiveness in converting sinners. Yes indeed the confessionals will be full and people will be hysterically trying to find a priest to hear their confession. In fact I happened to read this a couple of years ago and for the life of me I cannot remember which mystic it was that said it, but they said that during the 'Warning' priests would be overrun by penitents. TO GLEN DELLAIERE YOU DONT ANSWER MY QUESTION. LETS FORGET ABOUT MARIA DEVINE MERCY. LETS FOCUS OF WHAT HAPPENING NOW. YOU SAID YOU WILL ALWAYS UPHELP THE PRESENT POPE. LETS TALK PURELY ABOUT THE HOLY BIBLE. POPE FRANCIS PROCLAMATION OF EVOLUTION THEORY THAT IT IS REAL. HIS DESTROYING THE BIBLE ESPECIALY THE GENESIS. WHERE IS YOUR FAITH? .NO MATTER WHAT HAPPENED I WILL SHOUT TO THE WORLD THE BIG BANG AND EVOLUTION THEORY ARE WRONG. WRONG. WRONG DEPEND YOUR POPE AND I WILL ALSO DEPEND MY GOD THE AUTHOR OF THE HOLY BIBLE. DEPEND YOUR POPE. EXPLAIN WHY POPE FRANCIS DECLARE ITS REAL. I BELEIVE ENTIRELY IN THE HOLY BIBLE COME WHAT MAY.. I WILL DEPEND THE BLESSED TRINITY. 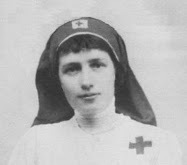 A few people have mentioned "Maria Divine Mercy," who has the website "thewarningsecondcoming.com" in their comments. I have been following all the messages on the website for the last one or two years, and I have no doubt in my mind that the messages are genuine and are from Jesus, Mary, and from God the Father. I've always been able to "sense" intuitively whether something is true or not true. I have read nothing in the messages on MDM's website that conflicts with Church teachings. The messages emphasize repentance and prayer and inform us of events to come, in particular, The Warning. Over the years, I have read many prophesies and also have learned many so-called "conspiracy theories" (which are not really theories but are based on facts). The messages on MDM's website are in accordance with many things I had already learned about over the years, such as the plans for a New World Order/one-world government, plans to depopulate the world, using war and disease, the gaining of power in the Vatican by the Freemasons, and many other things. I found over the years I got sick of reading all these modern day phophets prophecys and never knew who was real or not real.Then God led me to read the prophecys of the Saints.I read books upon books of them all saying the same thing. That this time we are in is the time of the Illumination of Consiance.That this time is not the time of the antichrist. This will come at the End of the world.This is not the end of the world this is the time of a new era..We will have a reenactment of what will come in the furure but God will intervene with the Warning.I found the best book to read is called.Trial Tribulation & Triumph.Before ,During and after the Antichist.By Desmond A. Birch.You can get it on Amozon.If any modern day phophet is saying that the Antichrist is here now they are false.The Saints would know they are approved by the Church. Judeo and catholic do not go together. In Matthew 24 it states this about the ending of the world. “Take heed that no one leads you astray” Said Jesus to his disciples. Many will come saying they are Christ and lead many astray. “And you will hear of wars and rumors of wars; see that you are not alarmed; for this must take place.” “For nation will rise against nation, and kingdom against kingdom and there will be famines and earthquakes in various places.” Said Jesus. But he who endures until the end will be saved. Perhaps the false Christ are those who teach the false religions that are responsible for the terrorist attacks and isis. Greetings Dear Glenn. Thank you for the wonderful article and blog, I follow it every chance I get...the lives of the Saints and Mystics are a blessing in today's world. What I write now, I do so with a spirit of brotherhood for I would not be considered Catholic or Christian by most prevalent standards, yet my heart has always shared the joy of devotion to Jesus Christ and the Divine Mother. What I write now is the perspective of one who has had the great fortune of meeting with (and studying) the mystics of many different faith traditions from across the globe. Rest assured, they too have shared a timeline (if such a thing is even possible) that corresponds with the ones that have been suggested by the Mystics of Catholicism. They assure us that we live in the end times and yes, a purification is at hand. The corroboration to the minutest of details of the event/process by Mystics who have never met, nor even heard of each other in itself is a great sign of the times and lends a sobering credibility to what is often dismissed as "conspiracy theory". A severe tribulation is at hand indeed but with the promise of an Earth full of peace and joy to follow.Most importantly, this is a period of great graces that compensate many times over for the terrible trials faced by the Lord's devotees. May the knowledge of these dark times and the promise of the joy to follow inspire us to love the Lord in emulation of the great ones who bring faith and light to our hearts. For it is in crisis that opportunity lies hidden. Thank you for your very kind comments! I appreciate you sharing your experiences with other faith traditions that corroborates also our own Catholic mystics who foresee an upcoming Storm/Purification. God is infinitely loving, kind, and merciful so it does not surprise me at all that He would give fore-warnings of what is to come to all of His beloved children, regardless of their faith, that all might "make straight the paths" and prepare for what is to come. And I believe that one of the fruits of the upcoming purification will be that many of these sad divisions amongst different denominations and faiths will no longer be present. We shall become one flock under one Shepherd! Come Lord Jesus! “People are offending God too much. Were I to show you all the sins committed on a single day, you would surely die of grief. These are grave times. The world is thoroughly upset because it is in a worse condition than at the time of the deluge. Materialism marches on ever fomenting bloody strifes and fratricidal struggles. Clear signs portend that peace is in danger. That scourge, like the shadow of a dark cloud, is now moving across mankind: only my power, as Mother of God, is preventing the outbreak of the storm. All is hanging on a slender thread. When that thread shall snap, Divine Justice shall pounce upon the world and execute its dreadful, purging designs. All the nations shall be punished because sins, like a muddy river, are now covering all the earth. "The demon will rage especially against souls consecrated to God. The thought of the loss of so many souls is the cause of my sadness. If sins increase in number and gravity, there will no longer be pardon for them." Jesus Christ is at your hand reach. Preach this. Blessed be Joseph, blessed be Mary, blessed be God for the promised land. It has been 26 years since Gladys message. When will the thread brake? Will we have to loose our religious freedom and our churches close? Thank You Lord for creating me and saving me. Your child I am forever. “repent’ or end up in the abyss !!! With what the Catholic Church is going through right now, I was wondering what Padre Pio had to say about it.